Arizona State University is gearing up to produce more and better-prepared high school math teachers, addressing a critical need in classrooms around the state and the nation. The School of Mathematical and Statistical Sciences is offering a new bachelor’s degree in mathematics, with a concentration in secondary education, which will provide a new pathway for teaching careers. The degree allows deeper mastery of mathematics coupled with the ability to handle the challenges of a high school classroom. In the Phoenix Union High School District, math teachers are always high on the list of “must-have” hires. The district had to fill more than 25 math openings, and in some cases had to resort to hiring retired teachers to fill the void. National education groups echo this sentiment. Change the Equation is a nonprofit, nonpartisan, CEO-led initiative that is mobilizing the business community to improve the quality of science, technology, engineering and mathematics (STEM) learning in the United States. This new bachelor’s degree in mathematics, with a concentration in secondary education, will offer exactly that – a new pathway into teaching for math majors at ASU. “We want to produce expert mathematicians who have the preparation to be excellent teachers,” says Fabio Milner, professor of mathematics and director of mathematics for STEM education. Pat Thompson, a professor in the School of Mathematical and Statistical Sciences, researches how students learn and how teachers teach mathematics. “A principal problem in the quality of the teachers’ mathematical preparation is that they leave high school with little understanding of the mathematics they studied. The result is that students are ill-prepared to understand university-level mathematics, and they return to high school (as teachers) having never revisited the ideas of high school mathematics that they never understood in the first place. 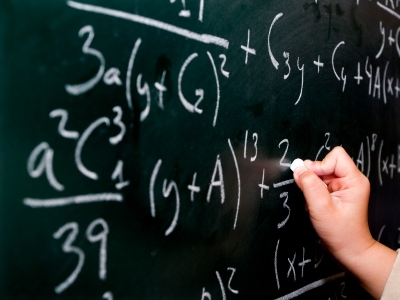 The new degree, which is available now, hopes to break this vicious cycle by focusing on teachers’ mathematical preparation for teaching high school mathematics. Professor Marilyn Carlson says the new ASU degree stands out for its sequencing of courses, "which is designed so students will understand the processes of learning, understanding and teaching mathematics, and the intricacies of supporting students to become competent and confident mathematical thinkers. Students will have a coherent set of courses and instructional experiences to assure that they develop the deep understandings and connections needed to be highly effective mathematics teachers. They will emerge from our program equipped to provide mathematics instruction that is coherent, meaningful and challenging." Another advantage of the new degree, according to Thompson, is that students will have all the options that come with a bachelor's in mathematics and a bachelor's in education – graduate school in mathematics or mathematics education, jobs in industry or in industrial education, or teaching high school mathematics. Admission applications are currently being accepted and will continue to be accepted on a rolling basis. For more information, visit math.asu.edu or call (480) 965-7195. In celebration of its 50th anniversary, ASU Gammage is presenting some of the biggest blockbusters to ever grace its stage during the 2014-2015 Broadway season. ASU Gammage has announced its 2014-2015 Broadway Across America – Arizona season, which marks the 50th anniversary of the auditorium. In celebration of that milestone, ASU Gammge is bringing a season of the most popular shows on Broadway and the biggest blockbusters to ever grace its stage. The season also features the return of "Joseph and the Amazing Technicolor Dreamcoat" and London’s newest hit, "Dirty Dancing." A brand new tour of "The Phantom of the Opera" returns to ASU Gammage to bring all the opulence and grandeur of Andrew Lloyd Webber’s masterpiece. The 2014-2015 season ends with six weeks of Arizona’s most popular musical, "WICKED." Season subscribers will get an opportunity before the general public to purchase tickets to this show. In its 24th season, the Broadway Across America – Arizona series at ASU Gammage has the largest theatrical subscription series in the state of Arizona and one of the most successful Broadway series in the country. Current subscribers can renew their subscriptions starting April 18. New subscriptions go on sale May 13. ASU Gammage subscribers get exlusive benefits, such as priority seating, free parking, flexible payment and ticket exchange options, advance purchase opportunities and more.